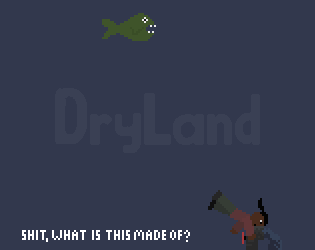 You're stuck in a screen – you'll have to fight fish in a quest for dry land. Good luck! Originally made for Ludlum Dare 31 ("All On One Screen") – improvements made since then.